Your ignorance might cost you dollars. Therefore, make yourself aware so that you can save your hard earned money without having to try really hard. 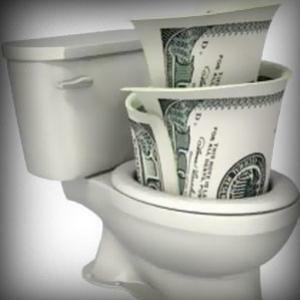 You will be astonished to know that most of us waste a significant amount of money every year. Your ignorance might cost you dollars. Therefore, make yourself aware so that you can save your hard earned money without having to try really hard. Here are 5 ways you are wasting dollars and how you can stop doing so. Paying more on the fuel – To save on fuel, first of all, you need to have adequate knowledge about your vehicle. For example, you might be wasting money if you buy premium fuel whereas regular fuel is what your car needs. Some cars require oil change about every 3000 miles whereas some cars can run properly and need oil change every 7000 miles. Therefore, check the manufacturer’s guide to know what is the limit in your car. You should also check whether or not the tires of your car are inflated properly in order to save on fuel consumption. Keeping the plug in the socket – Studies have revealed the fact that every household wastes a significant amount every year by keeping the electronic gadgets plugged in, when not in use. Often people forget to unplug the gadgets which are remote operated or have a clock. So, it is advisable you pull out the plug of the electronic gadgets when they are turned off or they are in the standby mode. Having balance on credit cards – If you think that you can carry some balances on your credit cards and it won’t do any harm to your financial life, then you are wrong. Apart from paying an interest on the amount you carry forward, it will also result in a lower credit score, due to which you will not be able to take out loans, in future, in the lowest possible interest rates. Therefore, it is better if you can make the habit of paying the outstanding balance at the end of every billing cycle. Even if it’s not possible for you to repay the entire balance, try to not keep your balance more than 25% of your available credit limit. Paying money for unused things – Have you ever noticed that you are paying for the extra features on your phone which you don’t need? Next time you switch on your television, just make a note the number of channels you actually view. There are a number of things for which you pay every month but never use. You can easily reduce your expenses by stopping these things. For example, you can opt for only those channels which you and your family members view and you can stop your gym membership if you go there only occasionally; instead you can buy some equipment to work out at home or go for a walk in the park when you want to. Buying items with full price – If you keep a close track of the merchandise at your favorite retail stores, you will find that the items typically go on sale at several times round the year. The garments are usually offered at much lower price at the end of each season and during the long weekends. Furniture also, is offered at reduced price from time to time. So, if you can do without wearing a garment when it is first launched, you can wait for buying it until they’re offered at discount rates. Above all, it pays to read the fine print on your credit cards and phone contracts. You might not be aware that if you want to transfer your high interest debt to a low interest card, the creditor might charge about 5% of the balance transferred. Some of the banks also charge a definite amount if you don’t keep a certain balance in your accounts. There are also some cell phone contracts where you need to pay a fee if you terminate the contract before a certain time period. Therefore, next time you subscribe to something, make sure you read the fine prints so that you are aware of the ins and outs and you can make decisions or plan accordingly in order to stop wasting your hard earned money.